It seems hard to believe now that Look Sharp! was the debut for Joe Jackson. After all, Jackson's signature hit "Is She Really Going Out With Him" - which was the singer/songwriter's very first solo release - seems not only like the smash hit it was and is, but also sounds like the work of a performer at the very top of his craft. It has the sonic confidence of a veteran artist at the top of his game. Jackson had performed in bands Edward The Bear and then Arms and Legs throughout the mid-70's, but both bands dissolved fairly quickly. Undaunted, he began to tour the English cabaret circuit in the hopes of raising enough cash to record a demo. That work and the subsequent demo tape, caught the ear of a producer at the A&M label and Jackson went off to form a band. The recording of Look Sharp! 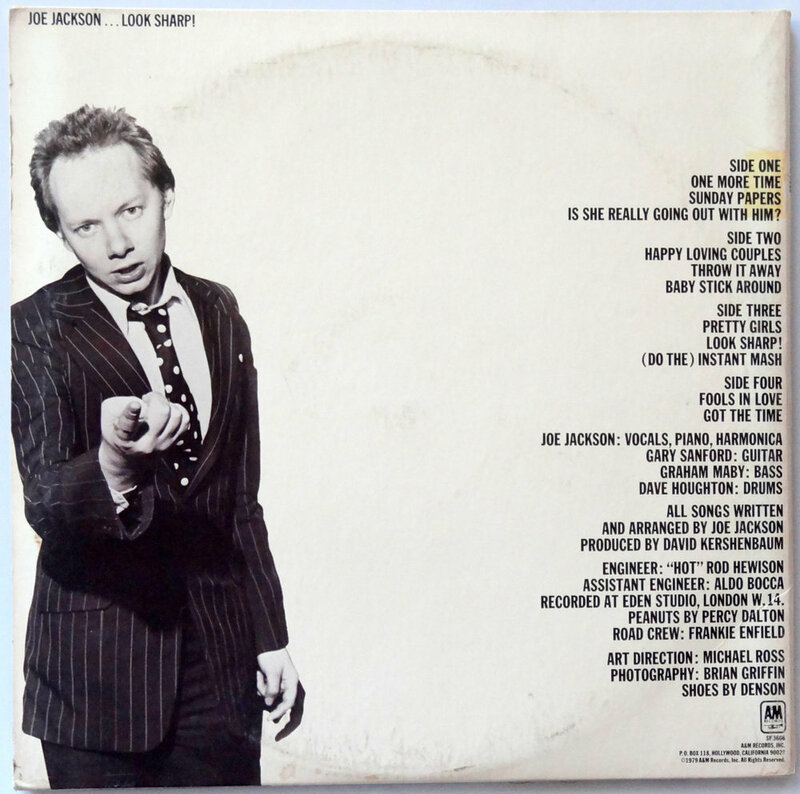 took place during the Fall of 1978 and the Spring of 1978 and the result was a mash up of New Wave and punk that invoked comparisons Graham Parker, Elvis Costello and Nick Lowe. "Is She Really Going With Him" was released as a single in the fall of 1978 to little fanfare. Singles for "Sunday Papers" and "One More Time" were issued in February and May of '79 and the response was still minimal. Thankfully, Look Sharp! - on the power of those three singles and terrific album tracks like the title song, "Baby Stick Around", "Pretty Girls" and more - managed to persevere and make the Top 20 in the US despite only getting to spot #40 on the UK album charts. "Is She Really Going Out With Him" was reissued as a single and became a worldwide hit on its' second effort. 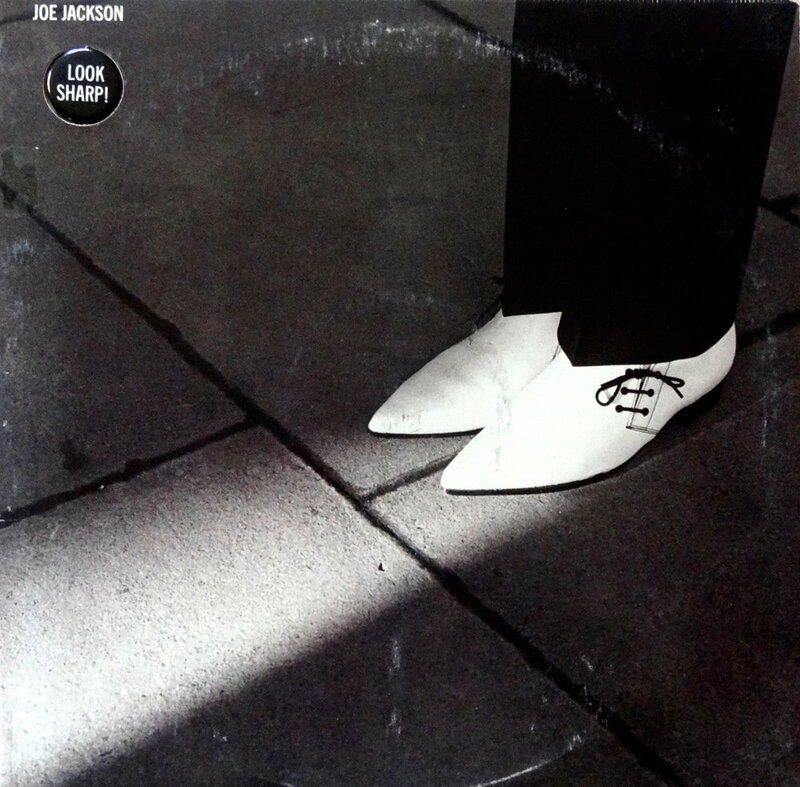 Buoyed by the reissue of that single, the power of the debut material on Look Sharp!, Jackson and his band headed back to the studio to record a new batch of songs that would become I'm The Man, which hit streets in October of 1979. That duo of LPs not only make for an impressive start to Jackson's career, but one hell of a year for any artist. Because Look Sharp! sold in droves and appealed to both new wave and punk fans, it remains plentifully available. Copies in very playable condition seem to be available at almost any shop you care to visit and it often finds a home in the dollar bin. It's worth far more than a buck or two and I'm The Man is a often a steal in the same price range. Maybe this Dollar Bin Darling could even lead you to a double dip.